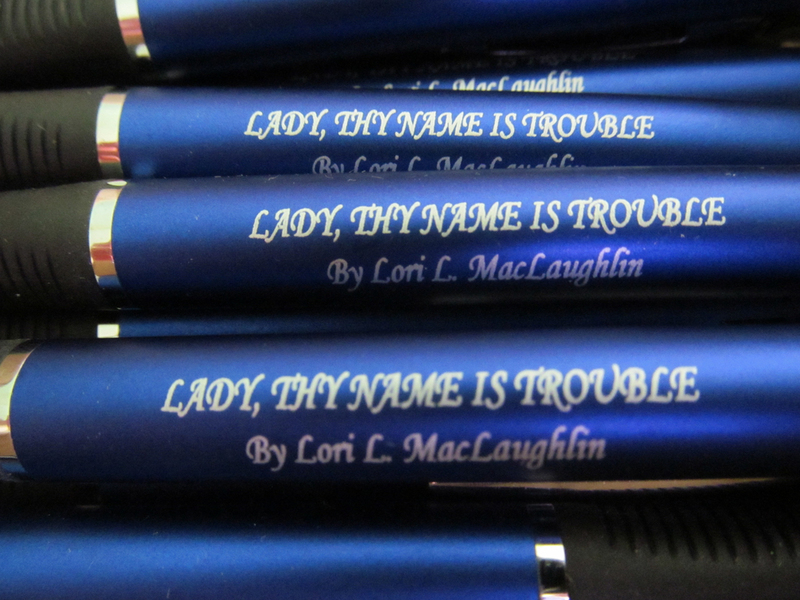 LADY, THY NAME IS TROUBLE! Dynamic Writing 1– 161 Lessons for Middle School Students by Tyrean Martinson – is a full year curriculum for home or classroom use, studying journal, essay, fiction, and poetry writing. Available in paperback at Amazon. The First Fifteen Lessons Are Available for FREE at the website. 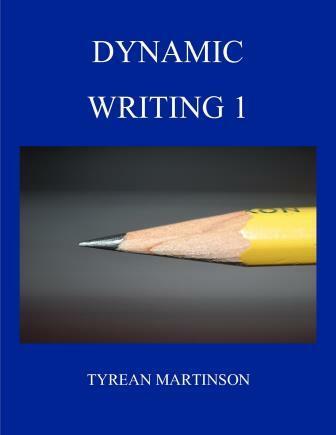 Dynamic Writing 1 is available in complete form in paperback through Amazon. Containing 161 Lessons for Middle Grade Students, this curriculum is meant for a complete year of home-school, home-school co-op, or classroom use. Eighteen of the lessons are “double” lessons and may be split over two days worth of time to extend the school year to 179 days with a planned celebration day at the end. Teaching notes, grade sheets, a resource list, and extra writing prompts are included in the text, as well as an answer key at the back of the book for the writing exercises. Within a year, students will study journal writing and essay writing, with short forays into fiction and poetry. Specific instruction in sentence variations, similes, and other writing concepts is spread over the course of the book and reviewed throughout the year so that students can wrestle with these concepts over the full course. Be sure to check out Melissa Sugar-Gold’s stellar review! What an interesting weekend it was at VT Comic Con! There were large crowds on both days, and the cosplay was amazing. So many people dressed up as comic book and video game characters. My favorite — and the crowd’s favorite (he won the people’s choice award) — was the 8-foot-tall Groot. of Hungry Enough to Eat Six! I didn’t know if my book would sell at this kind of event where the focus was more on superheroes and such, but I wanted to try it as an experiment. As it was, I sold six books, and I saw that two e-books sold over the weekend. 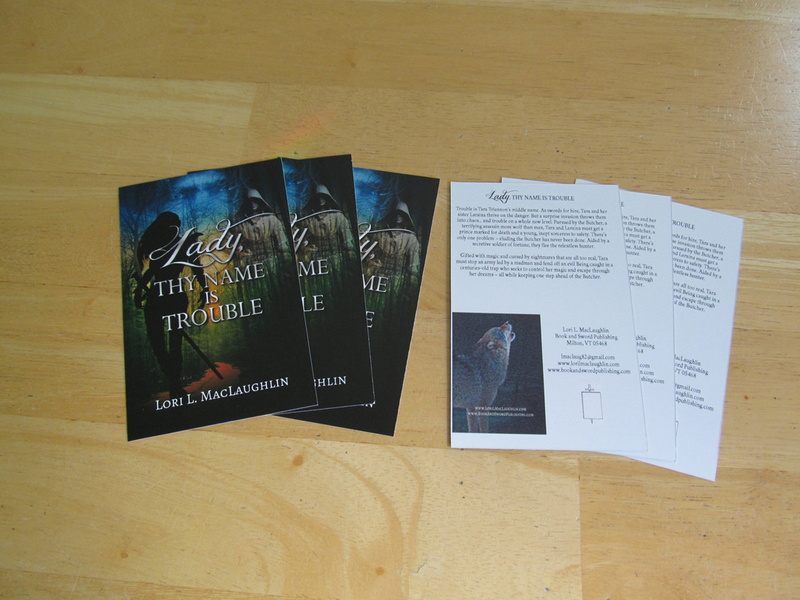 A lot of people picked up my book cards for, hopefully, future purchases. It was good practice in getting out there and talking to people. Even though I didn’t sell that many books, I think it was worthwhile. Should I have sold my books at a discounted price? I considered selling them for $10, rather than the cover price of $16.99, but decided to see how they sold at regular price. All the people who asked me how much it was were interested enough to buy it. Next time around, I might try the discounted price and see if it gets any impulse buys. Of course, it would help if I remembered to put out the sign that says I can accept credit card purchases. I put it out on Sunday, but forgot on Saturday. That might have made a difference. 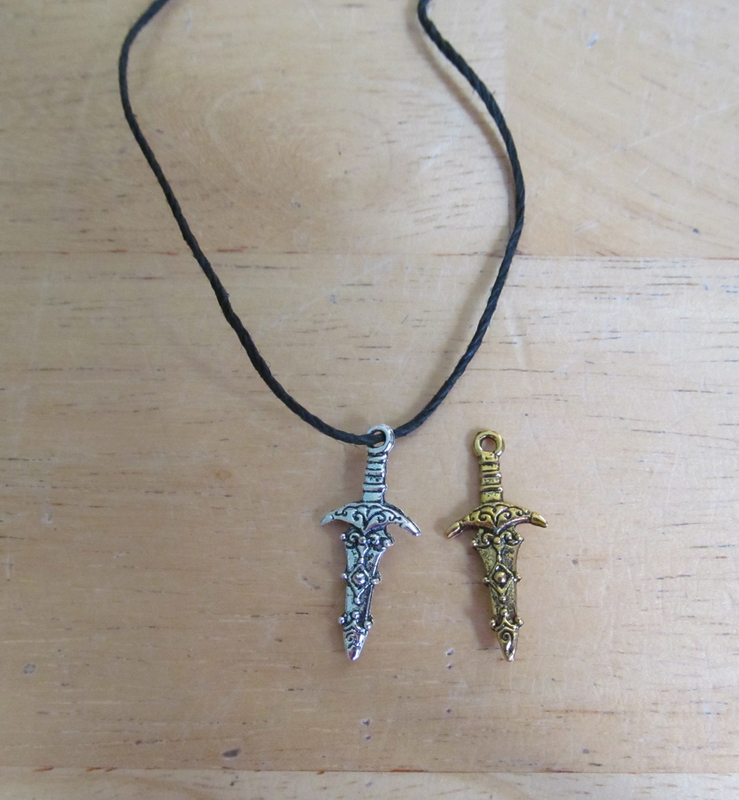 Should I sell the sword charm necklaces I made separately? 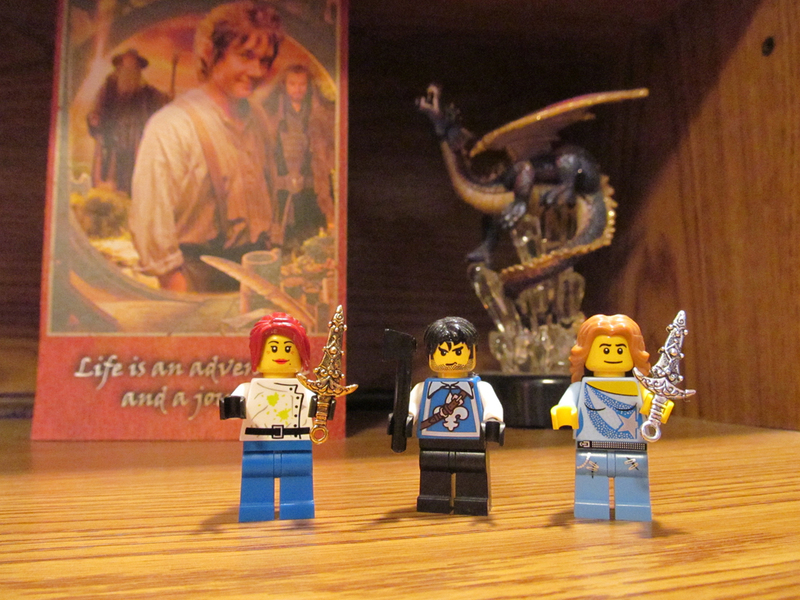 I displayed the necklaces with a sign that said free with book purchase. Anyone who bought a book got a necklace to go with it for free. Several people asked about buying the necklaces. I chose not to sell them that way, because I don’t want to go into the jewelry business. I would have made more money if I’d sold them separately. I don’t really know what would be an appropriate price for them. I’d have to do some research. Something to think about, anyway. The best part of the experience was when one of the people who bought my book said they had seen it on Amazon. Apparently my book had popped up as a suggestion for her to buy, being similar to the book she was buying on Amazon. I thought that was pretty neat! I’d love to hear everyone’s thoughts on both selling and buying at these kinds of events! For those selling — would you discount or sell at regular price? And would you have sold the necklaces separately? For those buying — would a $10 book cause you to make an impulse buy? Please let me know what you think! What a crazy time these last several days have been, running around advertising, trying to get everything together for the big events, and trying not to get too stressed out over them. 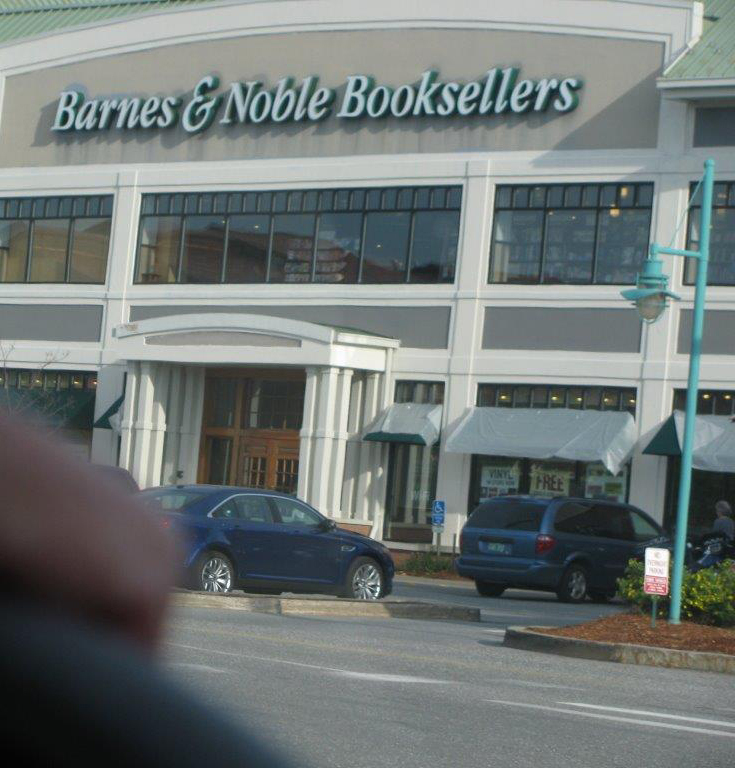 Barnes & Noble was up first on Friday night from 6 to 7 pm. I had a case of nerves ahead of time and stressed over last-minute things. Once the event started, though, I calmed down. About a dozen people came throughout the event, all friends and family (thank you!!! ), which gave it a much more relaxed atmosphere and helped me not to be as nervous. I sold 8 books, and it was fun signing them. The store wasn’t busy, and I don’t think anyone came to the Marvel Fangirl event that was supposed to run after my event. It was a nice night weather-wise, so I imagine most people were out enjoying it. It may not have been a packed house, but it worked for me, getting my feet wet for the first time. It was a great experience. 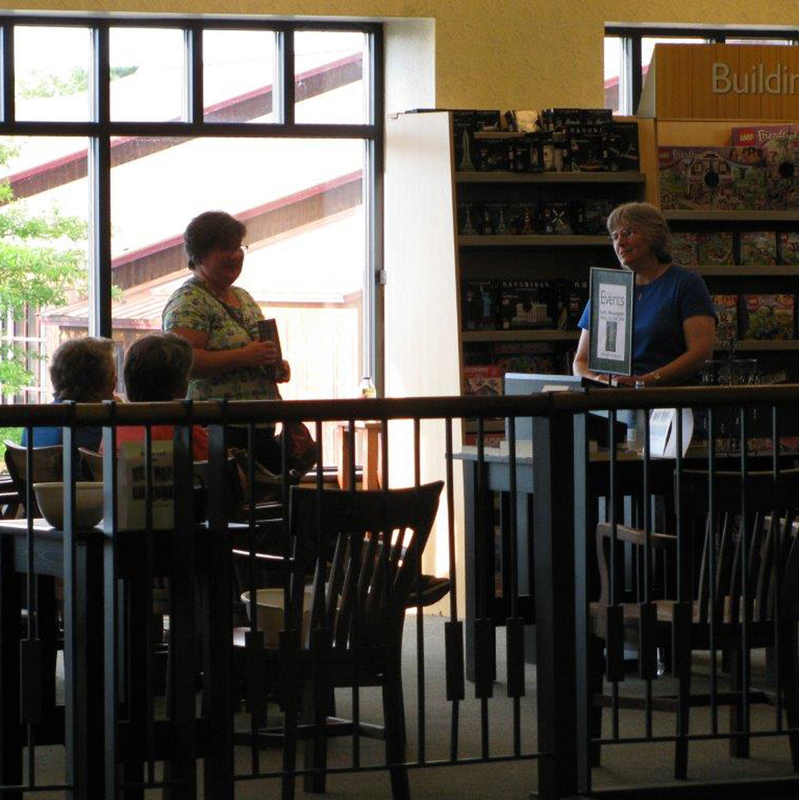 When setting up the event, I had the choice of sitting near the front of the store at a table and just being available to sign books or using the event space on the second floor to have a book discussion, in addition to the book signing. The event space was an open space on one side of the selling floor with a podium and chairs set up for an audience. I decided to go with the latter and have the discussion. 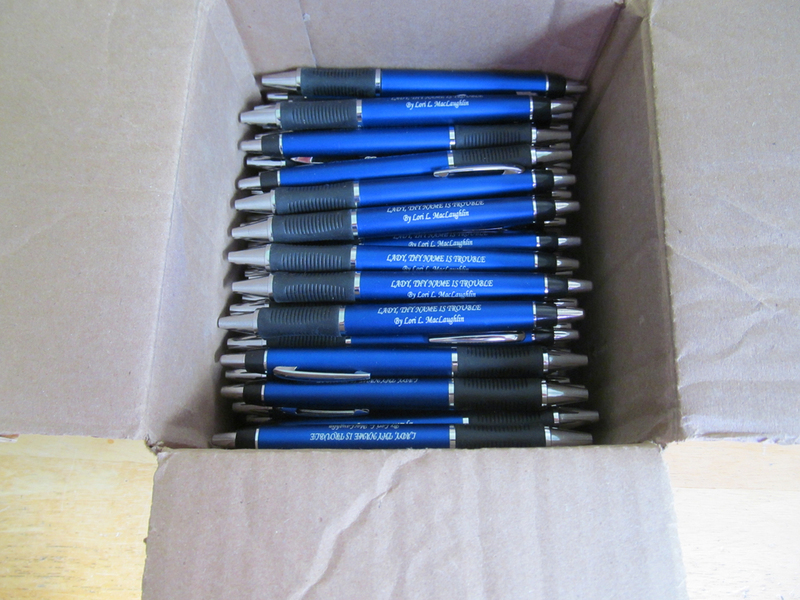 I’ve heard that straight book signings can be awkward, and I didn’t want anyone to feel pressured into buying my book. I also thought a discussion would be a better way to engage potential readers and get them interested in the book. I don’t know if it was the right choice or not, but it seemed like the right one at the time. 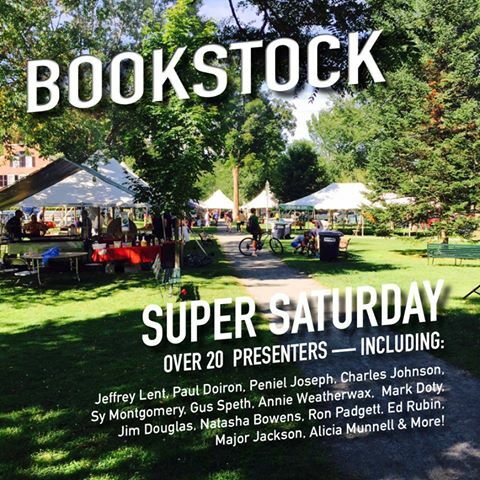 The Bookstock Literary Festival was another interesting experience, even though I didn’t sell any books. I manned the League of VT Writers table to promote books by League members, including my own. Part of the reason for no sales, I think, was the location of the table. The festival organizers had canopy tents set up along a walking path on the green. The tables that fronted the walkway got a lot of business, but those around the sides didn’t get as much traffic. The LVW table was on the side and also toward the back, close to the used book sale tent. By the time the people got to our end of the green, they saw the big “Book Sale” sign and made a beeline for that tent. In their defense, I probably would have done the same thing, though I would have gone back and checked out the places I’d missed afterward. Oh, well. I’ll have some good feedback to give them about the experience, anyway. On to the next event! I really enjoyed the League of VT Writers “Into the Words” Retreat and Member Showcase I attended last Saturday. The Northeast Kingdom of Vermont was just lovely, and the rain held off until right after the close of the meeting. 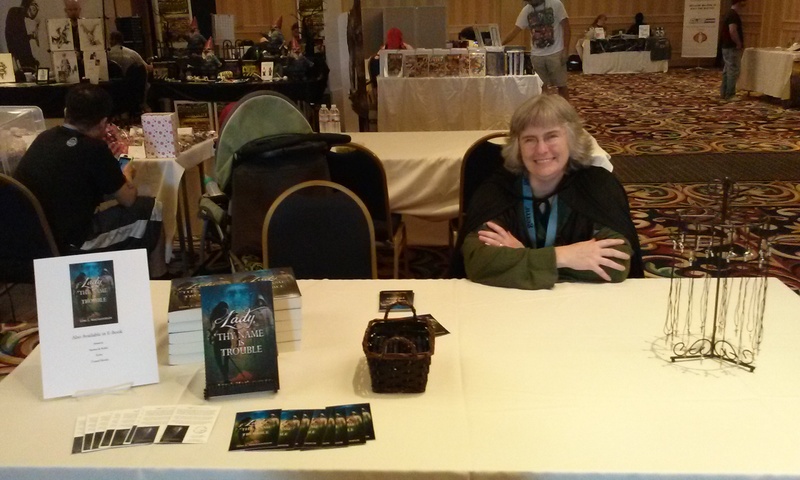 By the time I arrived and got my table set up with my book display, the meeting was already in full swing. Unfortunately, I missed the first round of seminars/workshops, but I still had three more sessions with four or five workshops each from which to choose. I brought my teen son with me, and he did a great job manning the table, so I could lose myself in a wonderful literary summer camp. In “Blogging Boot Camp,” VT author J.P. (Joy) Choquette went over the basics of blogging, the various platforms, and how important social media is to a good marketing strategy. I learned there is a tool called a Website grader that will analyze your site and tell you what’s up to snuff and what needs work. Here are a couple of links that list several graders: https://blog.bufferapp.com/website-graders-content-scores and http://blog.hubspot.com/blog/tabid/6307/bid/29274/HubSpot-Launches-Free-Marketing-Grader-Tool-to-Replace-Website-Grader.aspx. I haven’t tried any of them yet, but I plan to at some point. “Performance Techniques for Writers” with retired theater arts and public speaking teacher J.S. Grant was chock full of tips and tricks on how to prepare yourself for a public reading of your work. J.S. showed us muscle relaxation techniques, such as shoulder rolls and gentle neck stretches, and deep breathing techniques to help with nervousness and projecting your voice. Saying “me mo me mo…” and “fa-da-da-da” repeatedly is an old actors’ trick that helps loosen your lips and tongue. J.S. was engaging and funny as she led us through these preparations and then had us practicing our articulation with tongue-twisters. I discovered that I am incapable of saying, “The sea ceaseth us and sufficeth us.” And spitting is good. It means you’re enunciating your “t’s” and “p’s” properly. One other great tip — if you are doing your reading in front of a microphone, always inhale through your mouth. If you inhale through your nose, everyone in the audience will hear it. In the last workshop I attended, author M. Larose read from her YA fantasy novel, The Flower Eater. Keeping in mind what I had just learned, I thought she did a great job. Later, she and I swapped books with promises to read and review. I sold four books, in addition to the swap, and I also picked up a copy of Stella Rose, by Tammy Flanders Hetrick. She was the author I had observed at her Barnes & Noble book signing in May and later blogged about it HERE. It was fun meeting her (she had found my blog and commented on it), and we shared a laugh over it. And speaking of Barnes & Noble, I’ve been contacting area newspapers and other media outlets and submitting press release info for my book signing event Friday evening. I wrote the release info with the who/what/where/etc. in three formats: bullet form, paragraph form, and as an ad, to fit each media’s requirements. I put up fliers around town. Don’t be afraid to ask about putting up fliers. You never know who will say yes. Besides the library, the local Hannaford grocery store put one up on their bulletin board right where everyone leaving the store can see it. Even the dentist I’ve been going to for years said they’d put one up for me. The Square and Upcoming Book Event! Based on the overwhelming advice I received on a previous post (thank you!! ), I ordered a Square credit card reader from their site: www.squareup.com. After several days, the Square arrived in the mail! I attached it to my Android smart phone through the headphone jack, downloaded the Register app, and set up the register with my items and tax percentage. It was really easy to set up and has the simplicity of e-mailing receipts to customers. I did a $1.00 test run charge on my credit card, and it worked perfectly. Very quick and easy.